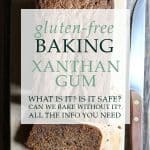 Xanthan Gum is one of those ingredients that seems to be omnipresent in gluten-free baking but what is it and how can we avoid using it. I have been baking gluten-free for three years now. 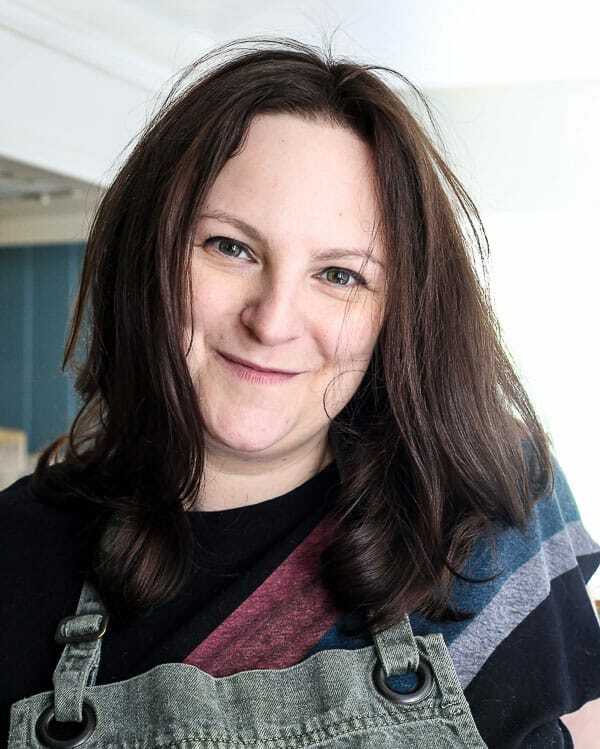 It was the very last part of my diet to become 100% gluten-free because baking cakes is what I did for a living and it took courage for me to make the switch. 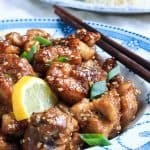 I was terrified of all of these weird ingredients on the back of gluten-free products and wasn’t sure if I wanted to introduce them to my kitchen. I took very small steps when beginning to bake gluten-free, using nut flours and polenta in place of flour. 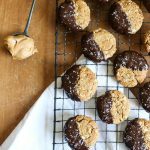 However when I wanted to stretch myself and bake a wider range of cakes, biscuits and desserts I found that I couldn’t get away from this certain ingredient that cropped up in so many gluten-free recipes. Xanthan gum. Xanthan gum has been around since the 1960s and was developed by fermenting plant bacteria to create this gummy product which has a multitude of uses in the food industry and also conversely in the oil industry and cosmetic industry. In the food industry xanthan gum is a common additive that you will find time and time again in both gluten and non-gluten products. It is a thickening agent and stabliliser which prevents ingredients from separating and can also add viscosity to liquids. Its use in commercial products can be in processed sauces or salad dressings to stop them splitting on the shelf. You might also find xanthan gum used in ice cream to slow the formation of ice crystals which leads to a creamier texture. But it is also used to great effect in gluten-free baking. 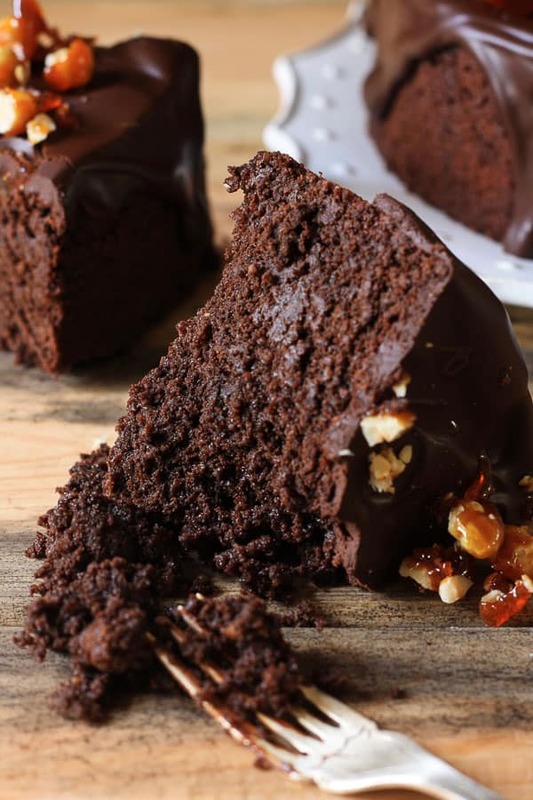 Wheat-free cakes lack the gluten which provides structure and elasticity and is what makes your cakes soft and fluffy. 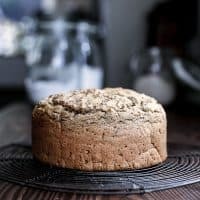 Gluten-free cakes have a reputation for being dry and crumbly and so many bakers turn to xanthan gum to replicate the necessary function of gluten. A small amount helps to bind the gluten-free flour together and add bounce. 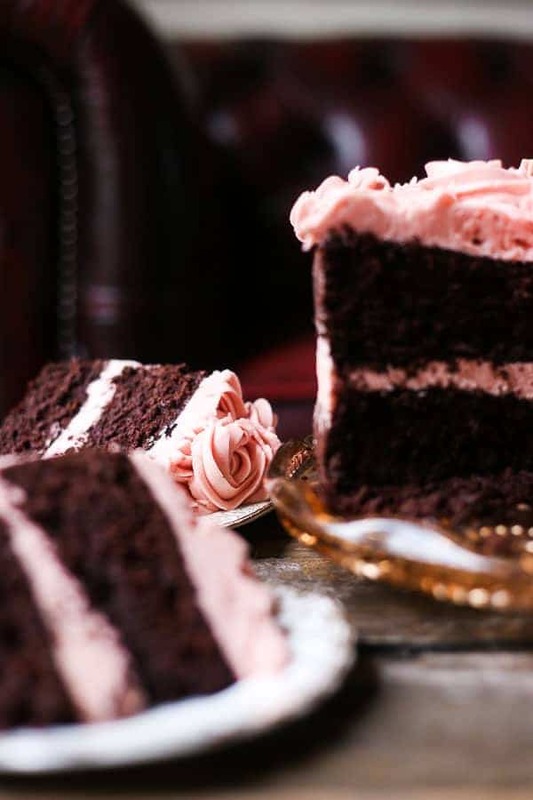 Xanthan gum is also odourless and flavourless so you might be non-the-wiser that you were eating a gluten-free cake. Is xanthan gum bad for humans? All studies show xanthan gum is safe to consume for adult humans. However there’s a disturbing bit of data regarding a milk thickener containing xanthan gum which was given to babies under 12 months which has led to xanthan gum not being recommended for infants. Although most health professionals agree that for adults it is safe to consume up to 15g of xanthan gum a day and since a little goes a long way it is unlikely that you’ll ever get anywhere near that limit. The studies show that an excess use of xanthan gum creates a laxative effect and troubles the digestive system. Since it is used to bind the molecules of food together xanthan gum can cement the molecules so well that the food is harder to break down in the body. After a light bit of googling on xanthan gum it soon becomes apparent that xanthan gum is a very polarising ingredient in gluten-free products. 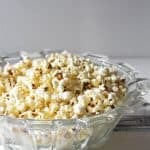 Coeliacs or people with a gluten intolerance tend to have very irritable digestive systems and there is a lot of reports of people experiencing the same kind of reaction with xanthan gum that they might experience with gluten. It is also worth knowing that the original fermentation process to create xanthan gum is often begun using glucose, sucrose or lactose but in some cases a wheat based medium is used to grow the bacteria. 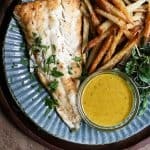 What can you use in place of xanthan gum? 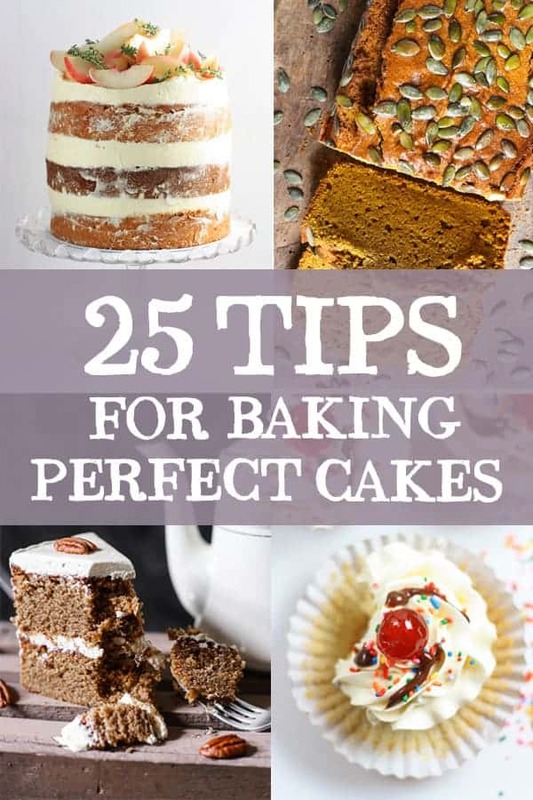 There are lots of alternatives to xanthan gum if you want to start gluten-free baking without using this controversial product but still want fluffy cakes that don’t crumble on touch. Guar gum and locust bean gum tend to have the same reputation as xanthan gum so it might serve you well to avoid all gum products if you find you don’t react well to them. 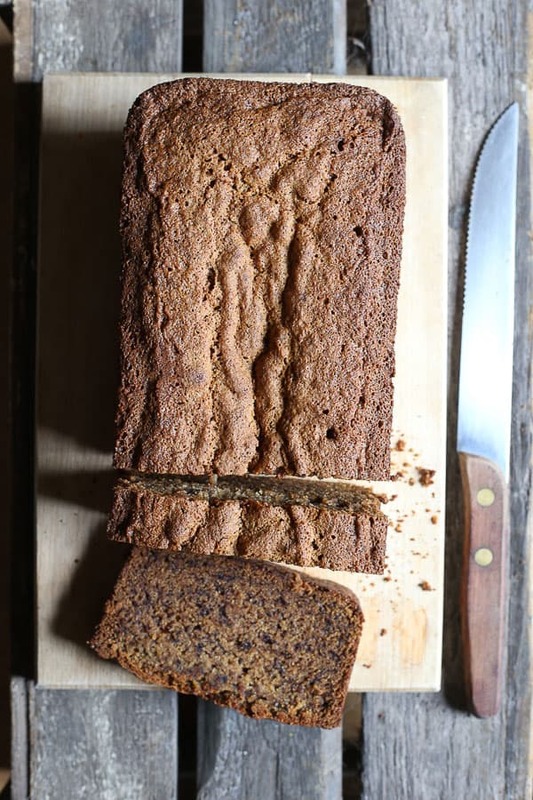 However, try psyllium husk, chia seeds, flaxseeds or gelatin in your bakes which can help to mimic the effects of gluten. 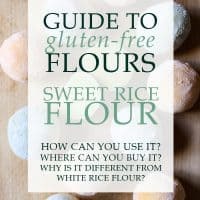 The way I bypass the inclusion of xanthan gum in my bakes is to choose stickier flours such as sweet rice flour and tapioca flour blended with lighter flours such as oat flour or sorghum. 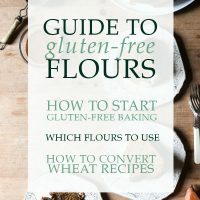 If you are interested in going down this route then I recommend you begin with my Introduction to Gluten-Free Flours. So in a nutshell why do I not use xanthan gum? I like to keep my baking as additive free as possible. That’s not to say that I don’t occasionally use sprinkles or food colouring or that I avoid commercially produced ingredients completely but I just like to be mindful when I do use these products. 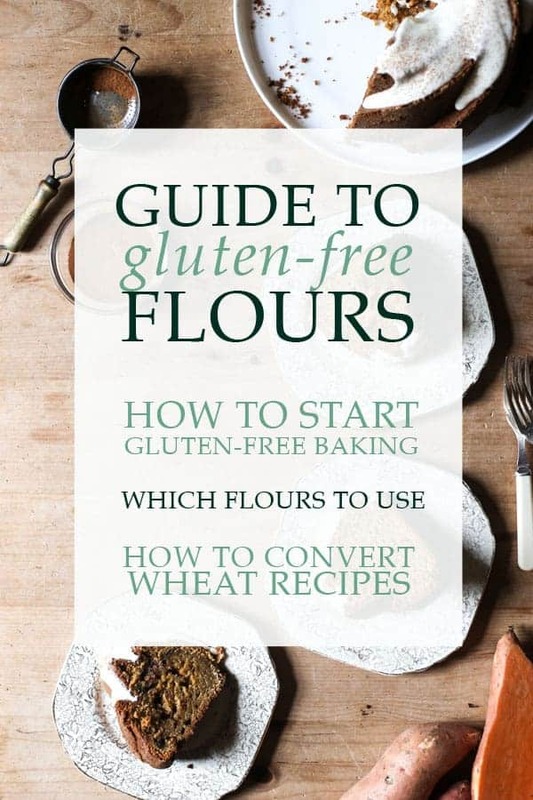 However, gluten-free recipes can rely too heavily on xanthan gum and I don’t think it serves our bakes well to use this artificial ingredient as a crutch to achieve products that resemble their gluten counterparts. If I can use delicious and flavour deep flours that thicken and bind like tapioca flour or sweet rice flour or flours that add natural moisture like nut flours then I just see no need to introduce another ingredient into my kitchen. Also, my digestion isn’t brilliant and I find my body can always tell if I’ve consumed a gluten-free commercial product that incorporates xanthan gum so if I can I like to avoid. Thank you! I’m happy you found this post useful! I’m personally not a fan of xanthan gum myself. But I do use other binders such as gluten-free cereal flakes (e.g. : quinoa flakes) and psyllium husk. First I have to say, I’m not a baker. I don’t really understand the science of it. But I wat to bake. I have a problem with wheat, not gluten. I’d like to know if adding vital wheat gluten can help with the consistency or mouth feel in baked goods. 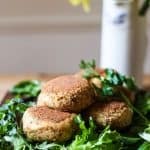 Hi Emily, I don’t know much about vital wheat gluten other than it is hydrated wheat which has had all starch removed so only the gluten remains. It’s also the main ingredient in Seitan beef which is an interesting fact. However, vital wheat gluten is still wheat and so if you are intolerant of wheat then this would not be a product I would recommend. I have also not used this product at all as I am gluten-free so it’s definitely not something I would use in my baking. Sorry I can’t be of more help! !